Manchester Digital Music Archive has received investment from the Heritage Lottery Fund (HLF) for a digital and physical music heritage project in Manchester. 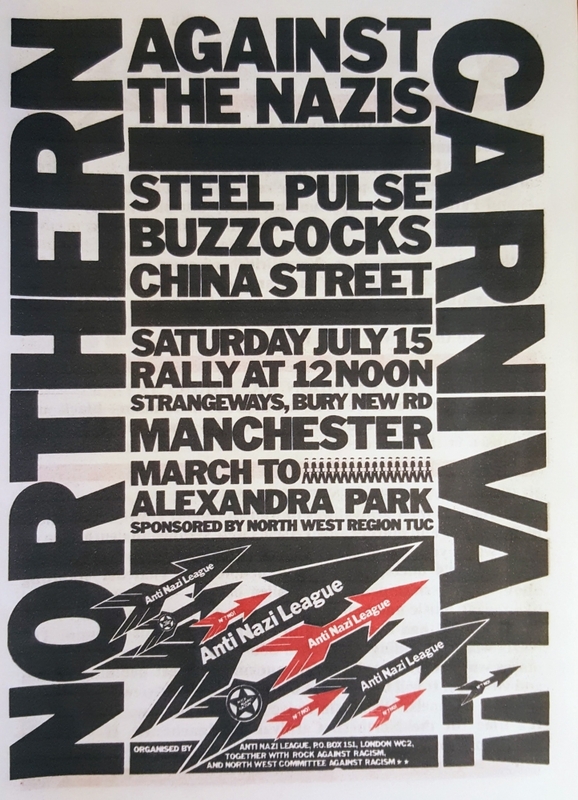 Cited by joint organiser, Bernie Wilcox of Rock Against Racism, as ‘the day that it became cool to be anti-racist’, the Carnival galvanised Manchester against racist groups including the National Front, with a rally of 15,000 people marching all the way from Strangeways to Alexandra Park joining a further 25,000 for an afternoon of music, dancing and unity. Co-organised by the Anti-Nazi League and Rock Against Racism, the Carnival featured incendiary live performances by pop-punk superstars Buzzcocks and Steel Pulse, the UK's leading reggae band of the period. Support came from Moss Side's Exodus and China Street from Lancaster. Mon 3 September – Sat 22 September NIAMOS, Chichester Road, Hulme, M15 5UP. We'll curate an exhibition of unseen images from the carnival and march, alongside a selection of posters, fanzines and flyers. As with all MDMA projects, we'll also be asking our online community to get involved and contribute their images and memories. We will be exploring non-traditional methods of image reproduction and display, such as projections, printing on moveable boards, recreating fanzines to give out, or using a fly-posting approach in underground galleries, in keeping with the period we are celebrating. We will work with volunteers and the local community to source material for a permanent digital exhibition, hosted by MDMA, containing images and memories, plus essays from organisers and attendees. Memories will be captured as text, audio and video.